_Coleridge's wide rails and grain detailing gives this kitchen a sense of solidity. 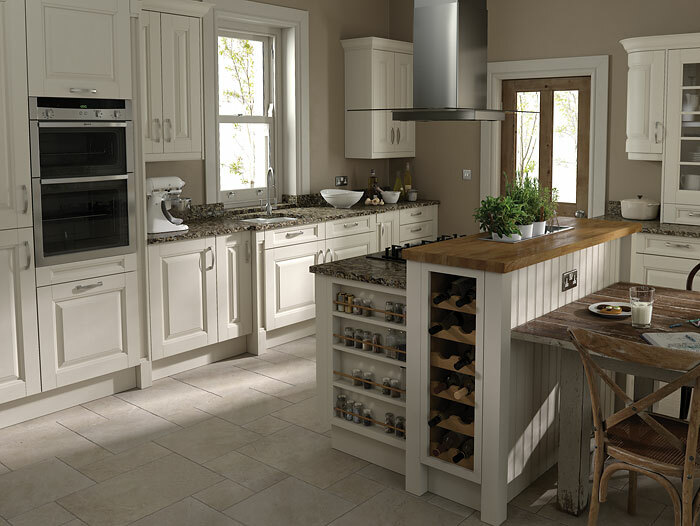 The design features a split level worktop with a mix of granite and solid timber. Clear glazed doors break up the run of cabinets as well as putting your chosen items on display plus the handy wine rack next to the dining table couldn't be better positioned.